Atria/Emily Bestler Books, 9781501171925, 496pp. From internationally bestselling author and “creative genius who has few equals in either horror fiction or the mystery genre” (New York Journal of Books) comes a gripping thriller starring Private Investigator Charlie Parker. When the body of a woman—who apparently died in childbirth—is discovered, Parker is hired to track down both her identity and her missing child. In the beautiful Maine woods, a partly preserved body is discovered. Investigators realize that the dead young woman gave birth shortly before her death. But there is no sign of a baby. Private detective Charlie Parker is hired by a lawyer to shadow the police investigation and find the infant but Parker is not the only searcher. Someone else is following the trail left by the woman, someone with an interest in much more than a missing child…someone prepared to leave bodies in his wake. 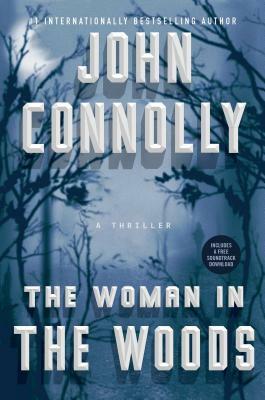 "There’s no mistaking a John Connolly novel, with its singular characters, eerie subject matter and socko style. All these flags are flying in THE WOMAN IN THE WOODS." "A new Parker is always a treat." "THE WOMAN IN THE WOODS sees the return of Charlie Parker, the modern-day gumshoe with a paranormal streak, in a tense story of love and loss that doesn’t let up until the final page." "Beautifully written and just creepy enough to make you uneasy… Trust me, you’re going to enjoy THE WOMAN IN THE WOODS and it will leave you wanting the next installment Right Now. In fact, I may have to go re-read the entire series while I wait. That’ll make the time pass quickly and will be such a treat!"